A poignant and inspirational guide for a journey toward ecological spirituality and sustainable culture. Each chapter contains an essay and spiritual practices designed for both group and individualized reflection. Exercises include a wide range of suggestions such as guided meditations, journaling prompts, creative art projects, and ideas for concrete action. Readers can choose the exercises that best suit their personalities, lifestyles, and unique journeys. 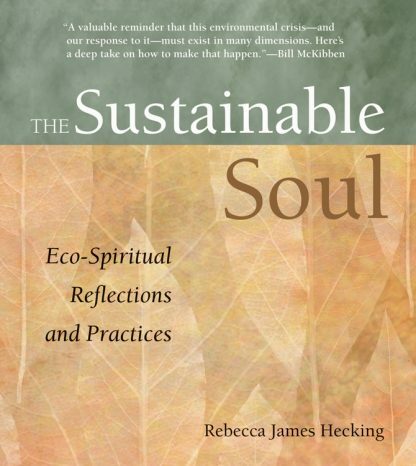 Rebecca Hecking writes a weekly blog entitled The Sustainable Soul. She is a member of the Unitarian Universalist Church of Meadville, Pennsylvania.